Ready to bring lasting beauty to your patio, garden or other living space? Westminster Teak offers indoor and outdoor 5 foot benches in a variety of design styles – from backless benches to swinging benches to bench sets and more. Some models below are also available in 4 foot long and 6 foot long versions. As durable as they are beautiful, each 5 foot bench is precision crafted for a lifetime of enjoyment and comes with a money back guarantee. 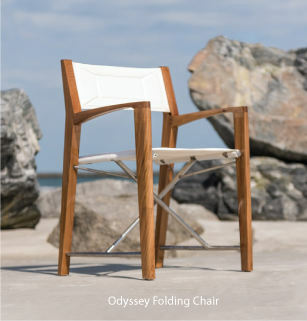 Besides being stylish and strong, Westminster Teak furniture is eco-friendly as well. We only use 100% Grade-A teak harvested from sustainable teak plantations in Indonesia. Our furniture can also be delivered in teak's natural state or with optional finishes and treatments applied. At Westminster Teak, our wood benches are made from eco-friendly, plantation grown, Indonesian teak wood. We also offer classic material pairings of durable teak wood and marine grade stainless steel. As always our benches are manufactured of the same great quality that was rated "Best Overall" by the Wall Street Journal. Thank you for your follow-up e-mail. Our shipment arrived in perfect condition. Given the extremely sturdy packaging, this should come as no surprise. The teak bench is beautiful, and my wife was delighted with her present. I was very pleased with every aspect of the transaction. Your sales personnel were very pleasant and helpful. The e-mail shipping notice and access to the tracking system were also appreciated. However, as many of your customers must tell you, your return guarantee was the feature that allowed me to purchase teak furniture sight unseen over the internet. Thanks for the prompt delivery of my teak bench. The bench arrived exactly two days after having ordered. The bench arrived in perfect condition and was a snap to assemble. As you probably know, there is some risk associated with ordering something like furniture online. There is no chance for inspection prior to purchase. I am more than pleased with the quality of the piece and the finish. Having inspected numerous teak manufacturers and individual pieces of furniture, I would say that the piece I ordered from Westminster Teak is equal to or superior to many and certainly better priced. Kudos for producing such an excellent product and for providing top-notch service. Your order arrived in good shape. They were easy to assemble and we liked the fact that you used wooden pegs rather than screws to attach the legs. We were so pleased by the first order of two teak benches we ordered that we ordered two more. We bought the teak benches for seating in our martial arts school, the Stow Martial Arts Center. Two benches grace our entry lobby and provide seating for students waiting to be picked up and also for a place to sit while removing shoes. The other teakwood benches are in our changing rooms to provide seating while changing into karate uniforms. The design of the benches is just right for our school which has a combination Western and Asian look to the decor.